▷ Best Dirty blonde highlights 2019 ¡Photo ideas & step by step! Before talking about this highlights, we need to tell you and let you know what dirty blonde actually is. Well, it is a dark shade of blonde that is quite close to the brown spectrum but now quite there, it is called ‘dirty’ because the shade looks pretty much like a blonde color but with a little dirt on top of it. It does not really sound good but we assure you, it looks way better than it sounds. This highlight color looks particularly amazing with golden and warm skin tones while cooler shades of blonde like ash or platinum blonde look better with paler and pinker skin tones. Take into consideration that the darker your natural hair color is the harder it will be to achieve a dirty blonde highlight color. 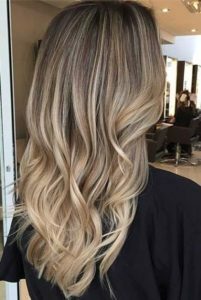 If you have light brown hair it is possible for you to reach the dirty blonde at home, but if you have darker shade of brown then it is a better idea to visit a professional colorist, it could even take multiple sessions to get to the color you have in mind. 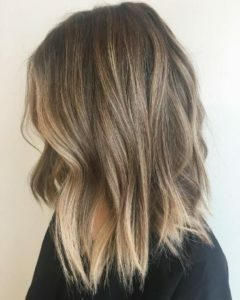 Blonde highlights have always been the go to look when looking for a hair change of look and color, having such a wide palette of color that it has a shade for everyone and, like most of the shades in this amazing wide palette, this specific shade is warm toned meaning that it has red and orange undertones. Being a muted version of most blonde highlights, dirty blonde highlights are quite easy to maintain reducing your hair prep and care time. Dirty blonde highlights are a perfect risk for you to take is you want a bold change but don’t really want to take too much time off of your daily routine making sure the color has not deteriorated or taking care of re-dyeing it regularly. Perhaps you already knew it, but there are so many ways of applying your highlights out there that it could take you a long while to find someone with the same highlight technique that you have in mind. 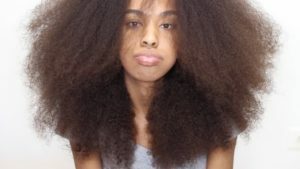 Some people decide that they want a big change of look and others decide they want soft and subtle changes that will make their hair stand out without too much fuss or a big difference, or even without feeling like a complete different person. If you are one of those who want a small change for your hair, then babylights are just the ones for you. 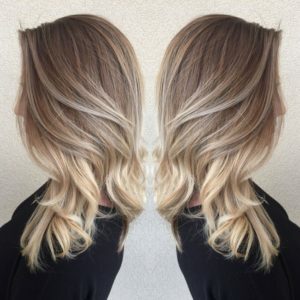 Baby dirty blonde highlights are a style that has always been and always will be on style and a perfect idea for you if what you want to do is shake things up a little. 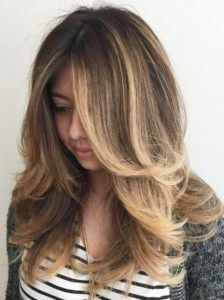 Baby highlights consist on adding just a hint of the highlights color to your hair so you have your highlights but you do not really make a great change so you can freshen up your style. The technique is used mostly to add a tease to the hair of the color you want and make it so it has a natural finish. Soft dirty highlights are quite a difficult technique, they have to be applied with such delicacy and dedication, and it is pertinent for you to go to a hair salon or to your trusty hair stylist to apply this color and this technique on so you can have the best possible results on your hair! This dirty blonde colored highlights can be applied with any type of technique you want or have seen on the internet, just make sure to take a picture with you so there is no risk of misunderstanding when talking to the professional. 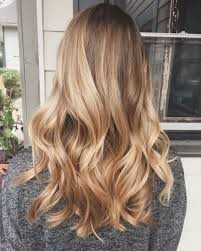 If no techniques are on your mind some ombré or balayage highlights can do the trick for you. Thin dirty highlights are very subtle as the hair strands that are being are so thin they are barely noticeable, especially if they are applied to light colored hair like blonde, light brown or medium brown shades. This type of thin highlights is great for people with straight and fine hair as they will add volume, dimension and texture to your hair, but if you have frizzy hair these are not the highlights for your, they will make the frizz more noticeable. Although you can try with more methods in this article! 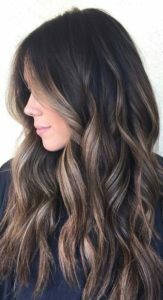 Dirty blonde highlights are not off limits for brunettes, au contraire, if applied the right way dirty blonde highlights can look amazing on medium to dark hair. Conflicting to the popular believe, ash blonde has more than just one shade, the variety can be used on our favor and be fit for any hair color you can think about, although it can get a little more difficult the darker the hair gets. Adding these dirty blonde highlights to your medium brown hair will add contrast and depth to it as well as adding movement, one way to add them to your hair is adding the dirty blonde highlights with the balayage technique, meaning that the dirty blonde will grow heavier and more notorious at the lower parts of your hair, with a seamless blend from your natural brown color to your dirty blonde highlights. 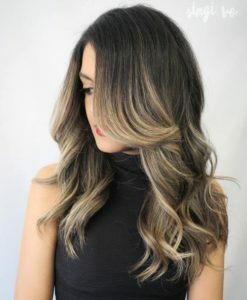 If you are not into balayage you can also try the smoky bronde technique, it is a twist from the ¡granny¡ white hair look that has us all head over heels and mixing it with a little brown so it is not such a strong white color and, no, they will not make you look older, actually they can give you a youthful look. If you want a big change of look and have black hair, then dirty blonde highlights are the perfect match for you! They are such a contrast from your naturally very dark hair that it will make you stand out from the crowd and break hearts any time you walk in a room. Appling them to your dark hair, we are not going to lie, can be risky and tricky as you will have to decolorize your hair a decent amount before you can have your dirty blonde highlights. You need to be sure you are taking care of your hair during the process, or that your stylist knows the correct way to take care of dyed hair before acting on your wished of dirty blonde highlights so your hair does not end up too damaged by the chemicals on the hair dye. Be consent that the process can take up to 3 or 4 sessions of bleaching so your hair can stay healthy and vivid. There are some hair styles that will work superb with dirty blonde highlights. 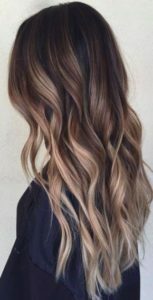 One of them is to simply try on the dirty blonde color, it will give you a very nice finish and maintaining it will be really easy and will look amazing in any occasion, also try it with a balayage technique. Deep rooted icy dirty blonde highlights are such a good look than adding them to your hair will add a great contrast both in color and tones, the idea of it is to add strength to the tint the closer you get to the tips so it is darker at the roots and blends into the lighter color at the ends of your hair, kind of like a balayage. 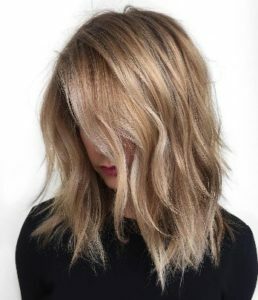 Once you have your beautiful dirty blonde highlights on, or if you have had them on for a while now and are looking for a little extra something or a way to spice it up, the perfect idea could be to add just a hint of color into your highlights for that extra wow effect on your hair. People will talk about your fabulous hair and look up to having a look like yours thanks to the amazing style that this trick can give you. By adding just, a hint of color to your dirty blonde highlights, it can be soft and subtle or as vibrant as you want it to be. 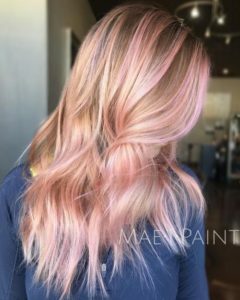 Subtle color can be adding pastel color, and if you want the bolder change then add a more vibrant color, now all you have to think about is what color to add to your hair. Simple as that! By adding color to your dirty blonde highlights you are making yourself look even younger by adding that extra wow effect. Why? Well, bright colors are trending right now on the younger lads and you can rock them to take some years off of you. Or even if that is not your goal they will add vitality to your face and make you seem happier and brighter. 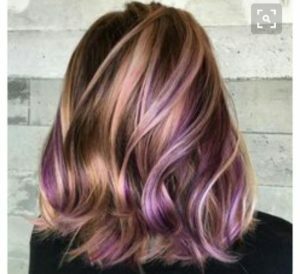 Fantasy colors are the ideal ones to do this kind of things, they are going to add contrast with any hair color and will look good with anything. Hair dyes used nowadays, although a lot healthier than the ones used 3 decades ago, are not exactly known for being good to our hair (besides adding wonderful colors to it) and they actually can have some harmful side effects. Exaggerating these processes on will keep adding up and end up in easy breakage and in extreme cases washing away with water. It can be revived, but to a certain extent do not expect to apply treatments and for it to be magically perfect in the next ten minutes. Now is the perfect time for you to start taking a deeper care of your hair so it does not get dry and frizzy because of all the chemicals used during the dyeing of the hair. 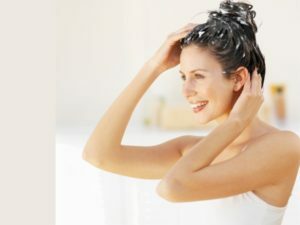 Minimizing the amount of times a week you wash your hair is an important step to take good care of your hair, and this will not only avoid your hair from getting too dry but it will as well avoid for the dye to lift from the hair. It is very important for you to never miss on the hair conditioner as your hair will need all the hydration you can give to it. Another thing that can hydrate your hair is a deep conditioner, which you have to add to your hair some time before washing your hair at least once a week so it has the greatest effect on it, just apply it onto your hair and put on a shower cap. 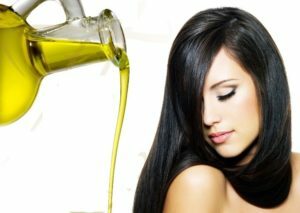 Oils can also help hydrate your hair, just apply it before the deep conditioner on the scalp and massage it in to make sure all the nutrients are absorbed.